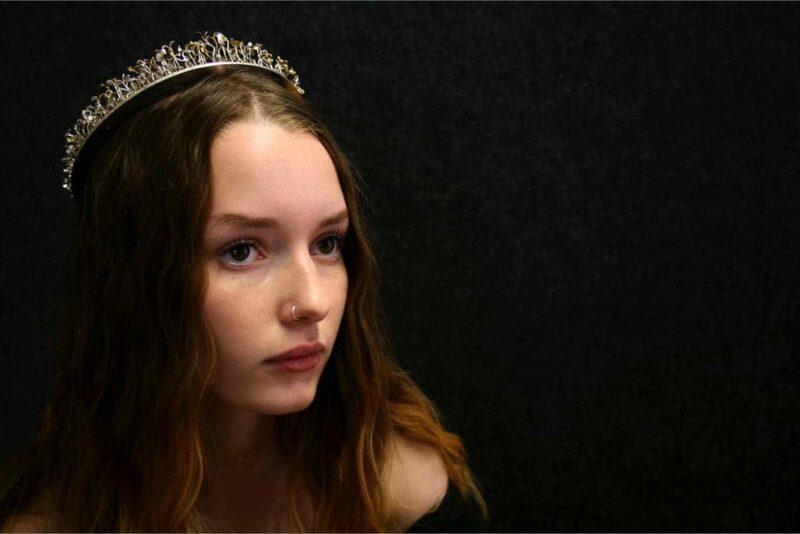 The Melbourne jeweller Katheryn Leopoldseder manages to make epic statements out of personal adornment. Here she pays homage to a Mexican scientist who was able to develop alfalfa as a non-toxic form of gold-mining. The Crown of Alfalfa honours the work of Mexican born nano-scientist Jorge Gardea-Torresdey; whose childhood land was leached by chemicals used in industrial gold mining. Jorge discovered that through the natural process of phytoremediation; Alfalfa mines alluvial gold. Drawing it from the soil into its roots, stems and leaves. The Crown adorns the head, alluding to the mind. The act of putting on the crown symbolises a shift in thinking. From current destructive approaches in mining, to noble and transcendent approaches. 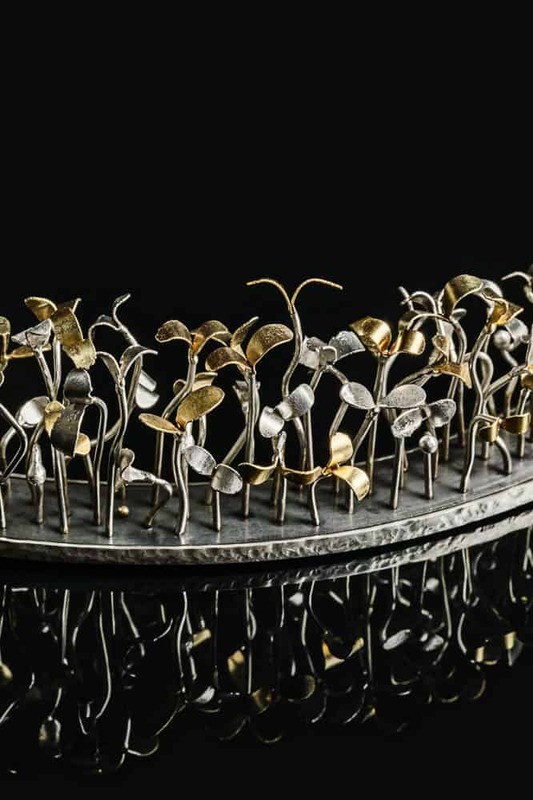 Making a jewellery object of golden alfalfa, materialises this collaboration between nature and humanity; into a marker of identity, as people entrusted with stewardship of the earth. 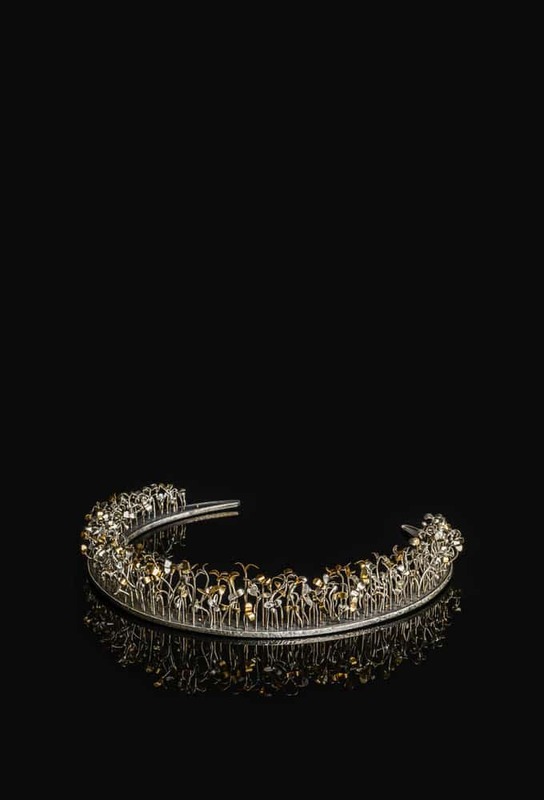 The crown is constructed using both traditional goldsmithing techniques like rolling, riveting and soldering: as well as modern innovations such as pulse arc welding. ✿ What prompted you to make this work? I heard about this scientific discovery years ago and the story stayed with me as a beautiful illustration of how sometimes solutions to our biggest problems already exist somewhere in the mechanisms of nature. ✿ What were the technical challenges that it presented? 180 hours later. Which would you like first? When soldering very fine things, close together, the heat transfers quickly. So, as you solder one part, the rest melts. It’s also the first time I’ve made a crown and many of the traditional forms distorted the sense of the alfalfa growing. After several trials, I arrived at threading the wires through a flat substrate and welding them at the back, making the Alfalfa look like it was sprouting from soil. 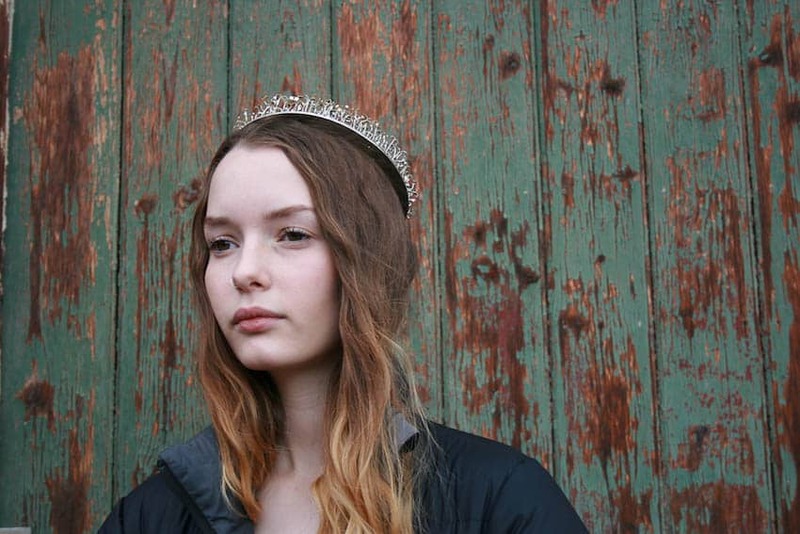 The result is that when worn, the flatness of the underside makes the crown look like a halo. Historically the crown is related to the halos that you see in religious art. So this halo-like-crown suggests rulership and higher thinking. In this case alluding to the kind of transcendent thinking that should come with positions of leadership, where responsibility is carried for the wellbeing of people, the land and the future. ✿ Where do you hope this work will find itself? I’d like to see it exhibited along environmental, scientific or spiritual themes. As jewellery is located on the human body, this piece is as much about belief, about how we see ourselves, as it is about science and the environment. How do we see our role here? Do we really need raw materials fast, at whatever cost? Or are we creative people capable of doing things better?